Please join us for a Statewide Organizing Forum on Saturday, May 16! Register now! The Grassroots Organizing Forum is a critical networking opportunity for volunteers, organizers and activists to discuss issues that matter most to our country. You’ll hear from Mitch Stewart, National Director of Organizing for America, and have an opportunity to give input into OFA’s direction. We’ll discuss campaigns in the three areas at the core of President Obama’s agenda: Energy, Health Care, and Education - and what you can do to help win them. And we’ll learn to leverage the political clout that comes from organizing around issue-based campaigns. Admission to the forum is FREE and lunch will be provided. 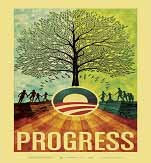 The event is sponsored by Organizing for America-Massachusetts (OFAMA). to discuss President Obama’s agenda and what it means for organizers here in MA. If you have questions, or are interested in volunteering for the event, please email ofama2009@gmail.com. If you're new to Cambridge-Somerville for change and want to sign up to be a part of our grassroots community, please fill out our Volunteer Sign-Up form to the right of the page. Let us know if you're interested in one of our Action Teams -- Health Care, Energy/Environment, and Education -- by clicking on the corresponding box under "Activities Interest." 0 Responses to "Massachusetts Statewide Organizing Forum"